What are you doing Sunday afternoon at 3:30 Pacific time??? 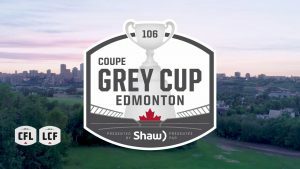 About one in nine Canadians will be watching the 106th Grey Cup game. There was a time I would be glued to the television for the entire game, but for the last few years, I have become a channel surfer going back and forth between the CFL championship and NFL regular season action. In my mind, the CFL has become more regional with the Grey Cup the one possible exception, although I am still skeptical how many B.C. fans care who wins between the (13-5) Calgary Stampeders and the (11-7) Ottawa RedBlacks. At least having Calgary in the game gives the casual fan someone to cheer for or, more likely, against. I suspect most will be rooting for the under-dog, which always seems to come from the East. The Stampeders are playing in this game for the fifth time in seven years. They are just 1-3 despite being a heavy favorite, especially the last two years, when they were beaten by .500 or less teams. In 2017, with an average audience of 4.1 million, the 9-9 Toronto Argonauts shocked the Stampeders 27-24 in Ottawa. In 2016, with an average audience of just 3.6 million, the lowest since 2006, the 8-9-1 third-year RedBlacks stunned the Stamps 39-33 in overtime in Toronto. While the Americans are just finishing one of their major holidays (Thanksgiving), the Grey Cup game remains a strong Canadian tradition. Everyone from a city like Prince George, to a province at the other end of the country like Prince Edward Island, can identify with this game. The Grey Cup has been and remains a party, a gala, and a special event. It’s for the young and old, healthy and ill, rich and poor, football and non-football fans. On the field, history tells us we generally get a good game and that obviously adds to the appeal. 19 of the previous 20 Grey Cup games have been decided by 13 points or less, with the last four having an outcome of six points or less. Part of the intrigue is there’s always a chance to have another historic CFL classic to determine a champion. Who could ever forget the infamous 13th man game in 2009? Montreal beat Saskatchewan in Calgary 28-27 on a last play 33-yard Damon Duval field goal. Duval appeared to lose the game after missing his first attempt, but was given a second chance because Saskatchewan had 13 players on the field. In 1962, there was the unforgettable Fog Bowl Grey Cup game played in Toronto. It started December 1st, was halted due to fog in the 4th quarter and resumed December 2nd with Winnipeg holding on for a 28-27 victory over Hamilton. These kinds of games are rare moments that will remain part of “Canadian” culture and heritage. The Stampeders are favoured by four points. I’m picking Calgary to win by 10. They can’t possibly lose a third year in a row, can they? The best quick-hit offence vs. the best pass rush in the league. My guests this week are veteran players Josh Maser and Josh Curtis of the Cougars. President Trump awarded the Presidential Medal of Freedom to Babe Ruth and Elvis Presley. It was a brilliant move. Trump finally figured out a way to get a sports champion and a member of the entertainment industry not to refuse an invitation to the White House. Here we all thought that after landing Connor McDavid, the Edmonton Oilers rebuild would take off without a Hitch. A man proposed to his girlfriend when she hit the 16-mile mark while running her first New York City Marathon. He would’ve done it at 15, but he wanted her to go the extra mile. A former Adidas executive was convicted in the college basketball corruption case. It looks like he will be wearing gear with a whole new set of stripes. Phillies owner John Middleton on free agents “We’re expecting to spend money, and maybe even be a little bit stupid about it.” Does that mean Philadelphia wants to sign Manny Machado? Happy Thanksgiving to all our American friends! I can’t Romaine on the sidelines any longer. Did you know Patriots QB Tom Brady was drafted by the Montreal Expos as a catcher? He also married supermodel Gisele Bundchen — so credit him with one major-league catch. Listen to him on his weekly podcast:Hartley’s Cat Scan.